Submit Questions for the Kickback Jack’s Coaches Show! This is the home for Fayetteville Marksmen hockey, the premiere hockey team in southeastern North Carolina. 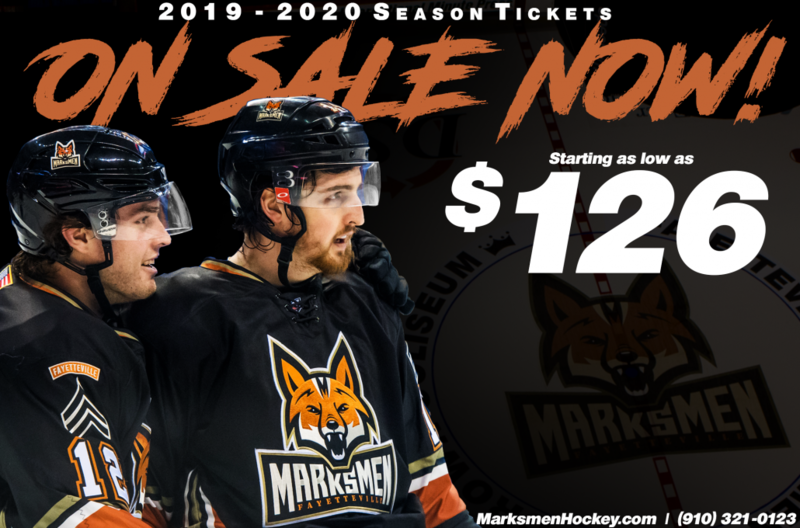 The Marksmen, established 2017, are a veteran-owned and operated professional hockey team competing in the most-elite independent hockey league in the United States, the Southern Professional Hockey League. Check out our home schedule and find your next Marksmen game! Bringing a group to a Marksmen game is perfect for any large outing! Whether you’re looking to host a class reunion, a company party, or just catch up with friends and family, we’ve got you covered! Sure, you could hang out at a fancy restaurant, but are they going to let you scream and yell at the top of your lungs? Will they provide you with several hours of non-stop action? Probably not. But with the Marksmen, you can do all of those things and more – even eat thanks to our additional Picnic Package! Imagine the photo opportunities in the hockey barn, with the team, or with our mascot Marky! You need a place to host, so why not make it the premium entertainment spot in Fayetteville? Not to mention, our Fan Experience programs allow your group the opportunity to be more than just a spectator for any Marksmen home game. A minimum ticket purchase is required for several programs that will be filled on a first come, first serve basis. The Seven Biggest Games of the Season, Starting at Just $75! 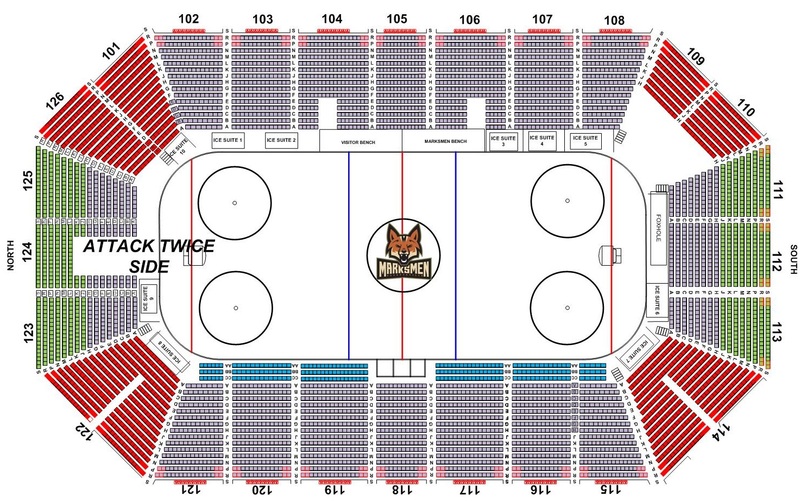 The Fayetteville Marksmen are owned and operated by Union Pro Hockey Group and play their home games at Crown Coliseum. The Marksmen are a committed community asset, designed to provide premium entertainment to families and individuals in Cumberland County and surrounding areas.